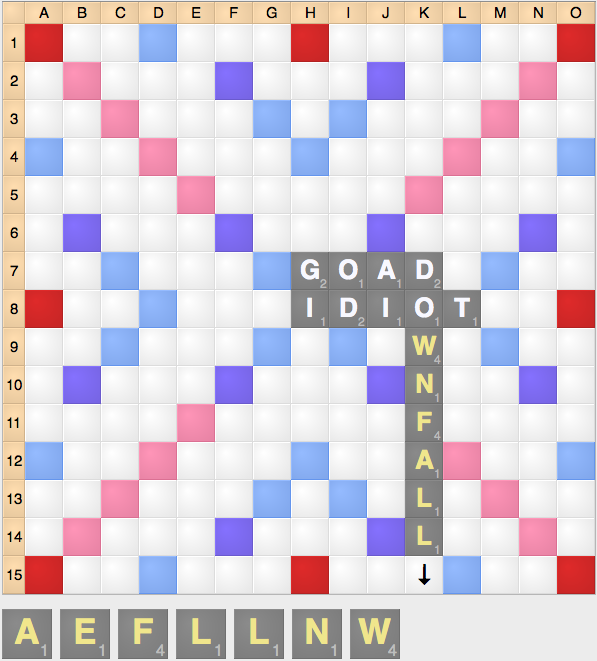 One of the most frustrating parts of Scrabble for new players is the infamous staircase board. Staircase boards often restrict the ability for you or your opponent to score well or make any sort of creative play, as most plays score poorly and open up far more for your opponent than they will for you, making it a bad idea to ever break the staircase. Before we go any further, it’s worth mentioning that sometimes a staircase board is *good* for you strategically. If you have high-point tiles, such as the X, W, Y, Z, or V in combination with good scoring vowels such as the A and O, or if the staircase contains strong S hooks and you have the S as well as a decent bingo leave, you should be happy to play staircase boards as they will allow you to comfortably outscore your opponent because of those tiles’ ability to make high scoring 2 and 3 letter words. 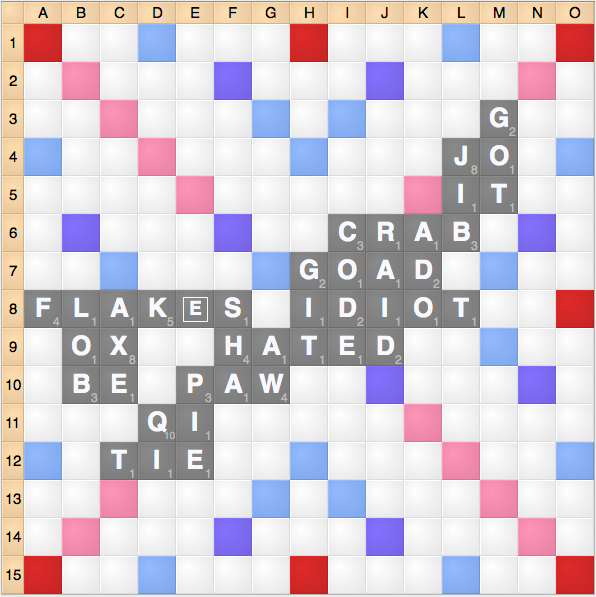 That being said, this isn’t usually the case, and may not be the most fun way to play Scrabble. Once you go too far on a staircase board, it’s hard to recover. However, there are many ways to free yourself from the dreaded staircase board. To break this type of board, you need to recognize a potential staircase situation and preemptively prepare to get out of the gridlock situation. This is an example of a board that could easily result in a staircase. The top left quadrant is already limited, while the right side of the board is also limiting if you do not have an S.
Create a hook that is difficult to block. 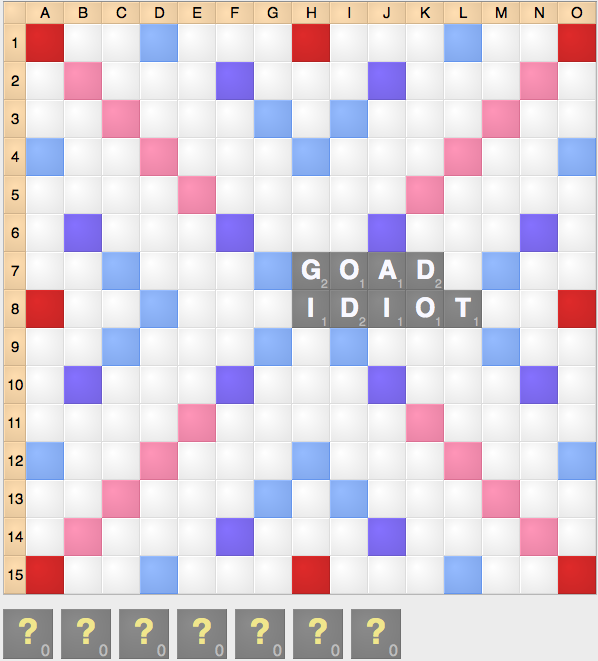 When you create a hook that can’t be overlapped or blocked, you’re likely to have a bingo line that is always going to be available, and thus, a long term ability to open the board to longer words and escape the staircase. 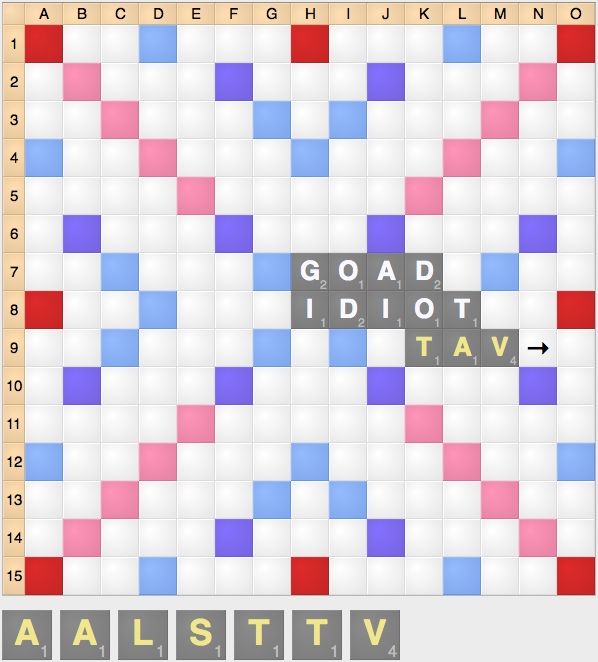 In this case, TAV creates an S hook that enables you to bingo on future turns. TAV helps you to ensure that a staircase board remains unlikely as it enables longer words to be played on future turns. Making a long word can make it extremely difficult to make a parallel play, thus encouraging longer perpendicular plays that can break free of the staircase. Here, the word DOWNFALL creates a long extension that is going to be difficult to block in one turn, since it’s difficult to score while making a parallel play to block the staircase. Create two openings in different parts of the board. Another way to avoid staircases is to play through the thinner parts of the staircase, creating hooks or other scoring opportunities on both sides. (The closer to the center of the board, the better.) In essence, you’re creating an open flower on one side at least one side while creating scoring opportunities (either another open flower, or open letters to play to) on the other. Here, by playing the word VAIL you create a hook on both on the top of the board (AVAIL) as well as the bottom (VAILS). The same effect can also be achieved with VAILING, as you can play through the N and G while still opening the A hook. Using these techniques, you can break out of those dreaded staircase boards, and make longer, more interesting plays that will also help you thrive in victory!